Stephen King is the Master of Horror. Of course, anyone who's read his books also knows that he's the Master of Writing Books That Are About 400 Pages Longer Than They Need To Be. And anyone who's seen one of the many movie adaptations of his books knows that he's also the Master Of Adapting Great Works Of Fiction Into Barely Watchable Crap. 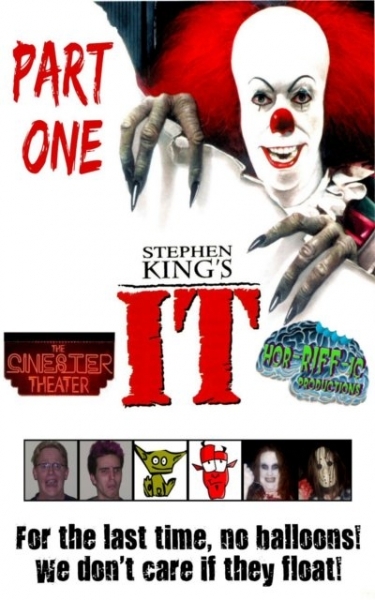 "Stephen King's IT" is the worst of the worst, a made-for-TV disaster starring Tim Curry, the kid from "The Neverending Story II", and just about every late 80's/early 90's sitcom star you can shake a stick at. And like the book, the movie-version is about twice as long as it really should have been. Shawn and Keith of "Cinester Theater" take on 50% of this horrifying tale of terrible terror. The children of Derry, Maine are being hunted by a malevolent shape-shifting demon named Pennywise The Dancing Clown, the least successful movie monster of all time. When the body-count reaches an unacceptable ONE, its up to the Little Rascals... uh, I mean, the Goonies.... uh, I mean, The Losers Club... to save the day! With friendship! And silver ear-rings! And we can't even begin to explain how awful this movie is! 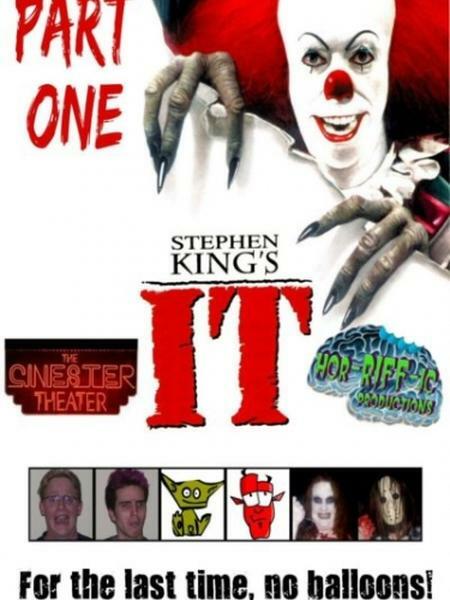 After watching this riff, be sure to head over our colleagues at Hor-RIFF-ic Productions for "Stephen King's IT: Part Two"! Note: Due to technical problems, we left out most of the sync lines for this riff. We have one near the beginning of the movie- if that is synced properly, then you're good to go.